This one almost gives me vertigo. It's straight out of Lightroom... no custom processing. I can't tell whether this'll be the easiest “What am I?” Quiz I've ever posted, or the most difficult. As always, I'll keep all responses private until I reveal the answer. Crap, you’ve stumped me this time! 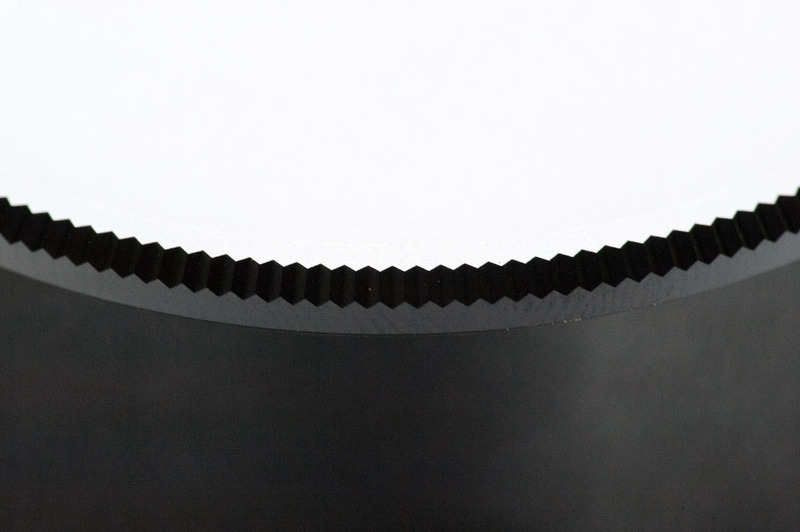 Could it be the rim of a nicely machined lens filter … perhaps. It makes an interesting photograph anyway. From Australia – It looks like a filter wrench to me. A tool for removing a tight filter from your lens. My theory is that this is a serrated edge of a utensil used for cutting …. a slicer …. or knife. I’ve posted the answer here. Lens filter was close.